Let’s face it – every wedding has a budget. Not all wedding budgets are created equal, but most brides at some point in the wedding process have had to make the tough decision that in order to buy one thing, they must forego another. So, how do you decide what to eliminate? This is a question that I am often asked in the early stages (and sometimes very late!) of the wedding planning process. I give the same advice every time: “You have to first make a list of the top 10 expenses that are important to you and your Fiance about the wedding and reception. When all of your “must-haves” are booked and paid for, you then have to decide how much wiggle room your budget has. If you have room, I say go for the extras. If the budget is tight, you have to start saying no to extras”. It sounds easy, enough, right? Make a plan and stick to it. Sometimes, it just isn’t that easy. With family members offering suggestions and millions of ideas floating around Pinterest, the best laid plans can sometimes fall short of reality. So, exactly what IS worth splurging on? Here are the Top 6 Most mentioned “Worth It” items. 1) Photography: Based on the hundreds of Brides I have worked with over the years, this is always the front-runner. You may forget exactly what you ate for your third course, but your pictures will act as your memory and your keepsake. Invest wisely in an experienced, professional photographer that will help make your wedding day last forever. You want to find the perfect fit that will be able to capture the emotions of the day as well as all of the beautiful details. The pictures are going to be the only way to communicate your wedding to your children, so don’t skimp! Also, think outside of the box: If you find a photographer you love in another town, many photographers are willing to travel for destination weddings. 2) Venue: So, we have the photographs taken care of, but what about your guests? The most important thing to remember when planning your wedding is that you cannot forget to make your guests comfortable! No one likes to go to a wedding where they are standing up the entire time or they are sitting in the rain because there is not a tent for your outdoor ceremony. Like it or not, the reception portion of the event is less about the Bride and Groom and more about the Guests that have spent several hundred dollars coming to celebrate you – so, make them comfortable. Invest in a venue that not only offers exceptional atmosphere, decor, ambiance, but that also furnishes or allows you to come up with a Plan B in case of inclimate weather. If you are looking at an outdoor venue but you cannot afford the Plan B, keep looking. “Nothing is worse than guests leaving early because it is a rainy 30 degrees and your guests are huddled together under a tiny screened-in porch trying to eat a crudite”. 3) Florals and Decor: You knew that would make my top 3, didn’t you? Well, yes and for good reason. Those pictures we talked about earlier? Oh, yes, the priceless memories. No Bride ever wants to take a picture of her beautiful gown and impeccable makeup without her stunning Bouquet! 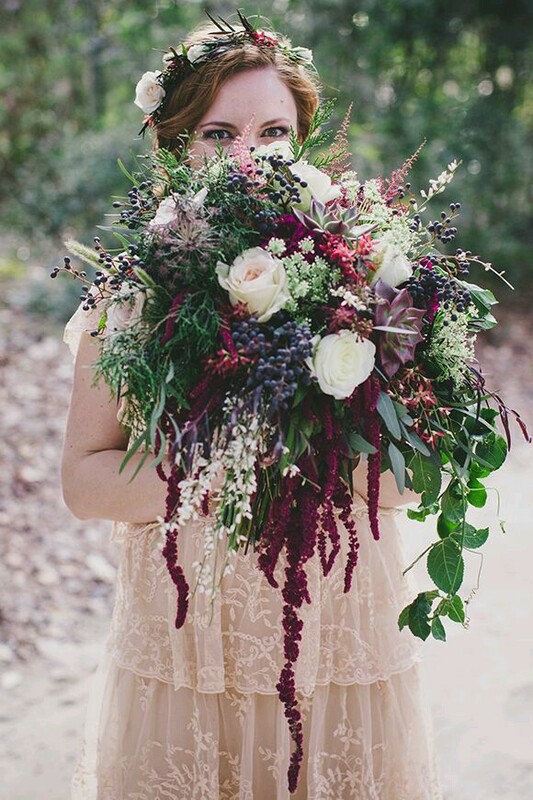 If you are a Bride-to-be or have ever been one, you know that you knew exactly what you wanted your Bouquet to look like – you even dreamed about it. 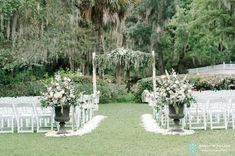 The florals and decor are an integral part of the day and set the tone for your Ceremony and Reception. Research and find a florist that shares your vision for the final outcome and do your research: not all Florists are created equal. Scan their online galleries and look at their work. Even though your wedding flowers won’t look exactly like those pictures, if will give you a very good idea of the style of work they do and if it matches your personality. 4) Food and Beverage: One of the top 5 wedding complaints by guests is, “I was hungry/thirsty for hours” or “they ran out of food before I was able to eat”. While you do not have to purchase the most expensive menu the caterer offers, you do have to make sure there is plenty of food, so budget for that early on. Get creative with the Chef. Look for foods that will go the extra mile, such as a Pasta station that is delicious and filling. “A great way to make your food go the extra mile is to hire Chef Attended or Staff Attended stations. People choose far less food if there is someone there” This just goes back to making your guests comfortable. If you are planning on an hour to take pictures after the Ceremony, order passed Hors d’oeuvres to be served during cocktail hour. No one likes to be hungry. 5) Rentals: Nothing will quickly cheapen an expensive venue or a Dupioni Silk Table linen in Marsala than ordering lap length instead of floor length linens for your guest tables. Do not let your rentals cause your entire event to fall short. Know early what you like and what is worth the cost. Rentals are very expensive, so you have to know where to cut back and where to splurge. Example: Don’t spend $10/chair for an outdoor ceremony that will last 20 minutes if one of your must-haves include just-the-perfect-shade-of-blush sequined linens for all the guest tables. The entire event, from Ceremony to Send-off needs to remain uniform, but that doesn’t mean you have to spend a fortune to make that happen. 6) Entertainment. I cannot stress the importance of hiring the RIGHT entertainment. Have you ever been to an event that was at a dreamy venue, the food was top notch, the decor blissfully elegant and the DJ was… well, awful? The entertainment is what makes the event after the pictures are done and dinner has been served. Your band or DJ (or both!) will guide your event through the end. I have worked with some amazing DJs and talented musicians and let me say, you will be happy you invested in them. Nothing is worse than carefully selecting your perfect song list only to have none of them played correctly or having someone mispronounce your new Mother-in-Law’s name. The professionals take the time to get to know you and your family so that they can be part of the event… and you and your guests will be glad they did. 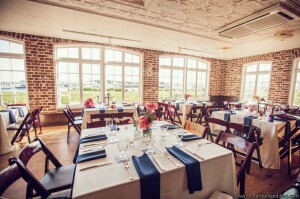 I am a Wedding Planner and Event Designer in Charleston, SC. I work for WildFlowers, Inc. with an amazing and talented Florist and Event Designer, Beth LeonGuerrero. We love sharing tips, ideas and great wedding stories.